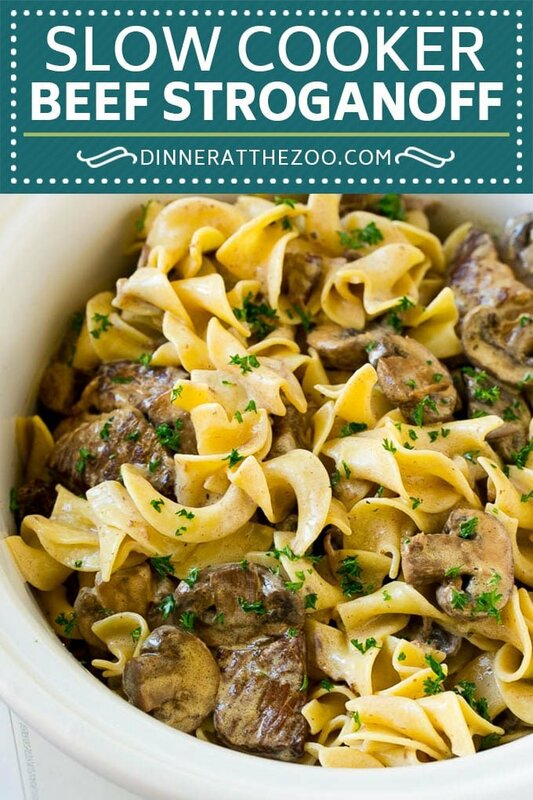 This slow cooker beef stroganoff is tender beef, mushrooms and egg noodles, all tossed in a savory creamy sauce. An easy crock pot dinner that’s pure comfort food! 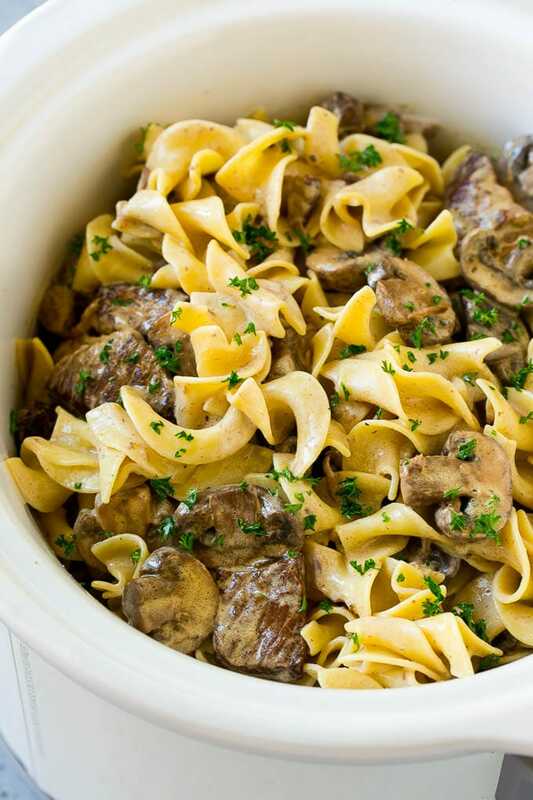 Beef stroganoff is a classic recipe that never goes out of style, and this crock pot version is as easy as it is delicious! This recipe pairs perfectly with a roasted vegetable on the side, such as parmesan roasted broccoli or honey roasted carrots. Fall is slowly sneaking up on us and I have been pulling out all my crock pot recipes for the occasion. This slow cooker beef stroganoff was at the top of my list because it’s always a huge hit. An extremely easy dinner recipe that’s hearty and perfect to bring the fall weather in. 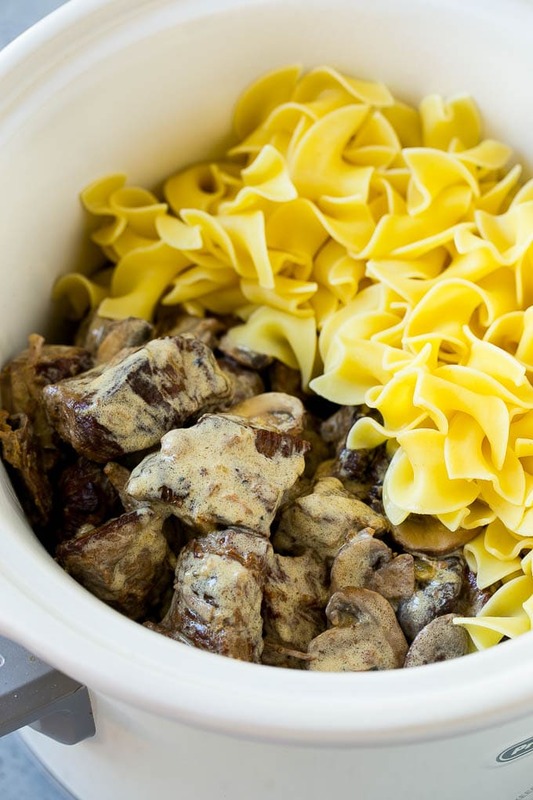 HOW DO YOU MAKE SLOW COOKER BEEF STROGANOFF? The easiest part about the majority of slow cooker recipes is the ability to toss the ingredients in the pot and forget about it. For this recipe, the first step is to brown your meat and vegetables before adding them to the crock pot. 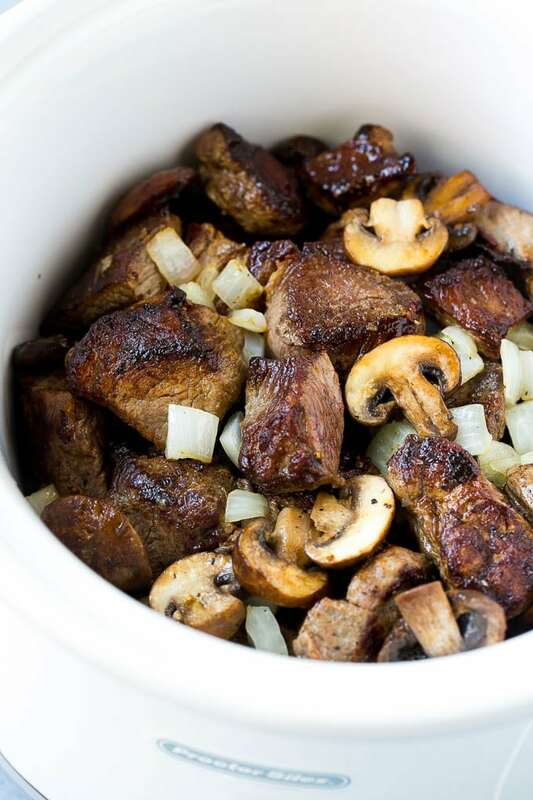 This step adds a lot of flavor, but if you’re in a big hurry you can skip the browning process and simply place your beef, mushrooms and onions into the pot. You can use beef stew meat or a chuck roast cut into 2-inch pieces. This type of well marbled meat will turn out meltingly tender after a long trip through the slow cooker. When the beef and vegetables are done, some sour cream is stirred in to make a sauce and everything is tossed with cooked noodles. Egg noodles are customary in beef stroganoff but if you don’t have them on hand, other short pasta shapes will work. 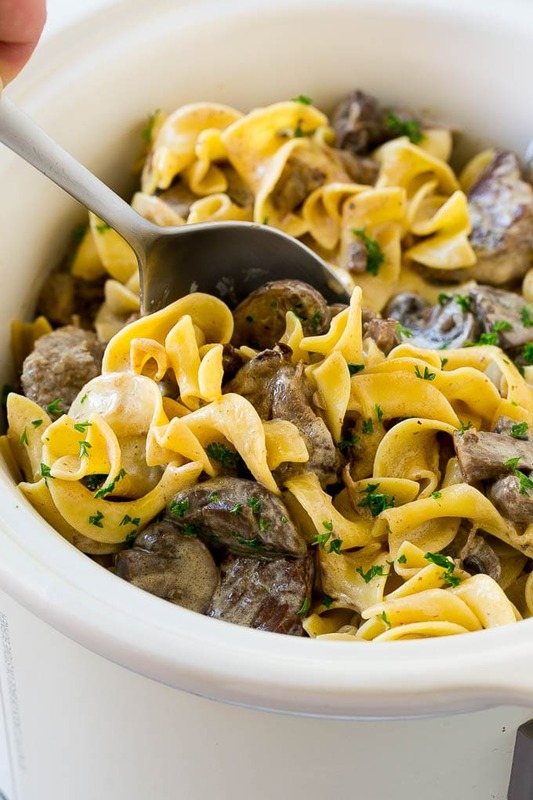 This crock pot beef stroganoff goes great served with a steamed vegetable or green salad on the side for a complete meal. CAN SLOW COOKER BEEF STROGANOFF BE MADE ON THE STOVE? As with pretty much any slow cooker meal, yes, you can make it on the stove. You may need to take other steps such as cooking the meat and noodles separate, however, the ingredients won’t change. Be careful that you don’t dry your meat out if you prefer the stove version. WHAT DOES THE WORD “STROGANOFF” MEAN? Stroganoff is a popularly used word in the culinary world, especially where pasta is concerned. However, stroganoff actually refers to the central ingredient (often meat) being cooked in a sauce containing sour cream. 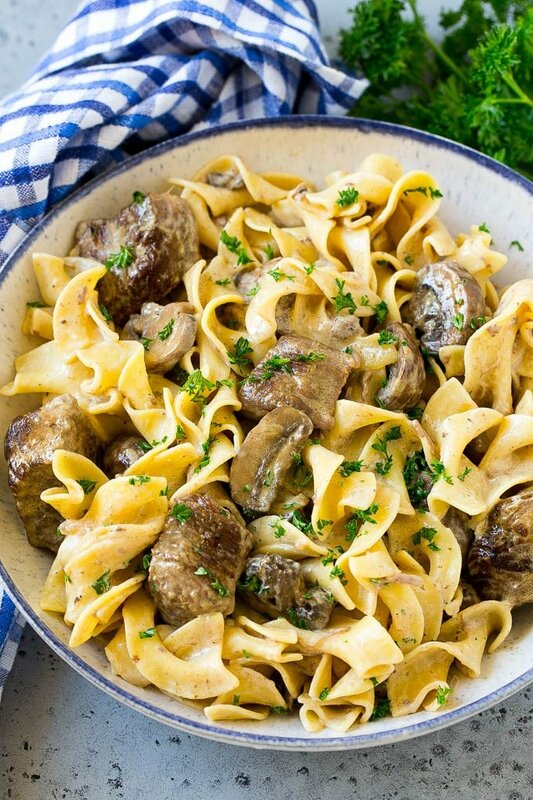 Therefore, you can technically have a stroganoff without pasta being involved. This slow cooker beef stroganoff is a super easy meal that feels great to come home to. Outside of the house smelling delicious, this is one of my favorite comfort foods. It remains a highly requested dish in our house. 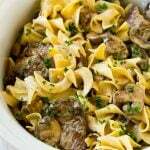 This slow cooker beef stroganoff is tender beef, mushrooms and egg noodles, all tossed in a savory creamy sauce. An easy crock pot dinner that's pure comfort food! Heat the olive oil over medium high heat in a large pan. Season the beef with salt and pepper on all sides. Add half of the beef to the pan in a single layer. Brown for 3-4 minutes on each side. Add the meat to the slow cooker. Repeat the browning process with the other half of the beef. Add the mushrooms and onion to the pan and cook for 3-4 minutes or until browned. Add the mushrooms, onion and garlic to the slow cooker. Pour 1 1/2 cups beef broth and Worcestershire sauce into the slow cooker and stir to combine. Whisk together the remaining 1/2 cup beef broth with the corn starch. Pour the mixture into the crock pot and stir. Cook covered on HIGH for 20 minutes or until sauce has thickened. Uncover the crock pot and add the sour cream and cream cheese, stirring until a smooth sauce forms. Season with salt and pepper to taste. Turn off slow cooker. Pour the cooked egg noodles into the slow cooker and stir until they are fully coated in the sauce. Sprinkle parsley over the top, then serve. If you're in a hurry, you can skip browning the meat and vegetables and simply add them to the crock pot uncooked. I just made this tonight and had to comment. This was the best Beef Stroganoff I have ever had! All I can suggest is follow the recipe, it turns out wonderful.The only thing I changed is I poured the stroganoff on the noodles so i can freeze the extra sauce for later. If you have one of those recipes that uses mushroom soup, throw it out and use this one. Great recipe! I put my noodles right in the crock pot with a bit of extra beef broth and let them cook on high for 10-30 minutes or so then add the rest and it’s shoer easy! No extra pot for boiling noodles to clean! I doubled all the ingredients and it was fabulous. Smelled so good while cooking. Picky teenagers + toddler all approved. Thank you for a great recipe. A keeper for sure! I’ve never tried it that way, I typically make the recipe as written. You can definitely give it a try! You can add spices such as garlic powder, onion powder, smoked paprika, even try an Italian blend seasoning. Dried thyme would also be nice! Or you could stir in some parmesan cheese at the end of the cook time when you add the sour cream. Thanks, I decided to use seasoned salt and it came out great!! I made this recipe for dinner tonight and it was fabulous. So easy to make and so delicious. I followed it to a tee and I wouldn’t change a anything. The beef melted in your mouth and the sauce was the perfect consistency and so flavorful. I served it with roasted broccoli and biscuits. Thank you for sharing. Made with 1/2 cup sour cream and 1/2 cream of mushroom. So good! I made this today in my Crockpot Express on slow cook. I put my cubed beef in a zip lock and tossed it with 3 tblsps of dry garlic, 2 tsps Kosher salt, and 1.5 tsp s black pepper. Then browned the beef with one chopped onion and when the beef is browned I added two cups of button mushrooms sliced thick. Stirred untill onions and mushrooms were slightly brown, and then 2 cups of beef broth and 1/2 cup of Italian style spaghetti sauce. Stirred all till blended and added 1 cup of Egg Noodles and a heaping cup of sour cream.. Put the lid on and set it for low on stew for 2 hours. Went to church and it was perfect when I got home. Brussel Sprouts and crunchy Sour dough bread, yum. Oh yeah, I added a good dollop of sour cream on top of each serving. Sounds fabulous, so glad you enjoyed it! I have wanted to try this recipe but my family will not eat cream cheese or or sour cream. 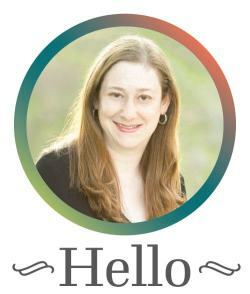 I noticed one person asked about cr. mushroom soup which would be great but what about the sour cream? Any substitute for that. It just looks soooo good. Will they eat any other dairy products? You could use a little heavy cream? I’m so excited to make this tomorrow night! Some of the older comments mention it was thin and then another comment asking you to clarify 1/4 tsp of cornstarch in a “thickening tip.” Is it safe to assume you’ve completely updated the recipe recently to reflect 3 tablespoons cornstarch? Last time I tried making beef stroganoff (different recipe) it was definitely very runny. So I just wanna make sure I’ve got it right! The recipe has been re-tested and re-written to address the issue of the sauce being on the thin side. Everything listed in the recipe is accurate! Would you be able to add the noodles to the slow cooker at some point instead of cooking separate? If so so, at what point would you add them and would you need to add additional liquid? I haven’t had much luck in trying to cook pasta in a slow cooker as it typically comes out kind of gummy. If you’d like to try it, I’d recommend adding the pasta during the last 30-45 minutes, adding 2 more cups of broth, and stirring occasionally so that the noodles don’t stick together. Hi, can I replace half the sour cream with cream of mushroom soup? i’m a great fan of beef stroganoff for my big family it seemed to be a favorite with us. i still love it but my husband doesn’t like sour cream YUCK to mushrooms, according to him. they are two of my favorites to incorporate into a recipe. miss them! This is a great recipe. I agree the sauce is a bit thin, but making a slur of beef broth and corn starch worked. I also added a TBSP of Kitchen Bouquet for color and flavor because it was a little whitish after adding the sour cream. It was fabulous! Do you think it would work to cook this up, then add the egg noodles and freeze, and when I reheat it, I can add the sour cream? I know I’ll love this dish, but I’m the only one who will eat it, so I’d like to save portions for another time. Thank you! Yes that would work if you wait to add the sour cream until you reheat it. The egg noodles will be softer upon freezing but they should still be good! That stroganoff seems a bit light on the sauce. Is that just a deceptive picture, or is that how it actually comes out? The sauce in the photos has not been thickened which is why you may think it looks like not enough sauce. I have provided instructions in the recipe for how to thicken the sauce if you prefer it that way! So sorry it’s updated now! Thanks! I made this last night with a tap of cornstarch (I cut the recipe in half) and it was still a bit thin for my taste so we added a bit of flour at the very end. The flavor was awesome! One of my favorite comfort foods !